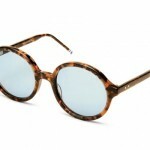 Oliver Peoples goes for some color with the Strummer, a pair of charming aviator style sunglasses. Made in Japan, the frames feature a thin double bridge construction, semi-rimless design, and a nearly soft gold tone on the metal arms. 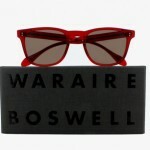 A wonderful pair of purple lens sunglasses, available online now. 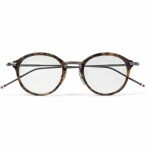 This entry was posted in Sunglasses and tagged Japan, Oliver Peoples. Bookmark the permalink. 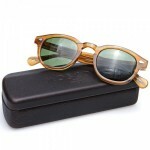 Worn by both Brad Pitt AND Angelina Jolie, the Strummer is my favorite Oliver Peoples sunglass. 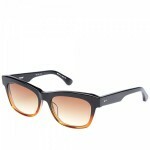 It is an aviator shape without being huge on your face.